Dr Kate Umbers is a champion of the Australian Alps. Her research showcases the charismatic fauna of our high-country both in conservation projects and by discovering and communicating the inspiring natural history stories of the animals that live there. By exploring Australia's highest peaks, Kate continues to make new discoveries about our threatened alpine animals, including insects with bizarre antipredator strategies; grasshoppers that change colour with temperature; methods to protect endangered corroboree frogs from native predators; and genetically-distinct populations in need of conservation attention. Her pioneering, fundamental research is critical to making informed decisions about how to manage our threatened alpine ecosystem into the future. Kate gained her PhD from Macquarie University in 2011 under the supervision of Prof Marie Herberstein. Her thesis was short-listed for the UK Royal Society's 'Alfred Russel Wallace Best Thesis in Entomology' award. In 2012 Kate held a postdoctoral position at the Australian National University and in 2013, she was awarded a Vice Chancellor's Postdoctoral Fellowship at University of Wollongong. In 2015, Kate was appointed as Lecturer in Zoology in the School of Science and Health and Hawkesbury Institute for the Environment at Western Sydney University. 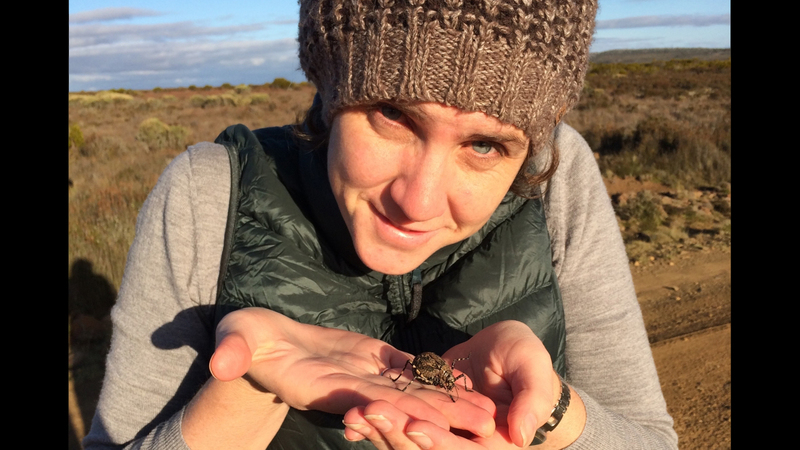 In 2017 Kate was awarded an Australian Research Council Discovery Early Career Award to unravel the evolution of ‘startle displays’ a bizarre form of animal defensive behaviour. She has served on the boards of the Australasian Society for the Study of Animal Behaviour and the Australian Society for Herpetologists and is the Vice President Membership Communications for the Ecological Society of Australia and the Social Media Editor for the International Society of Behavioural Ecology.